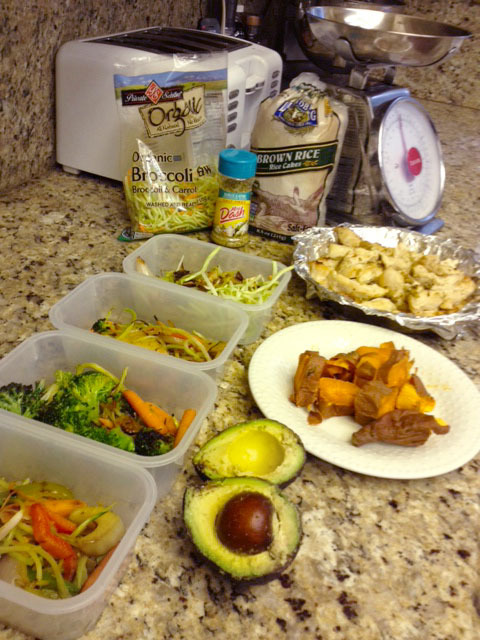 You are here: Home / Nutrition / Eating Clean / 7 Step Meal Prep to Save Time! OK so… I post pictures of my food all the time. So frequently that.. anyone who doesn’t know me would think I am a total weirdo. The truth is, well… I am. But… I am also proud of my healthy eating habits. Sure I have my splurges on occasion, but the majority of the time, my diet is healthy and packed with nutrient dense lean proteins, complex carbs and healthy fats. Well… I follow a very simple mantra. “If you fail to prepare, you prepare to fail”. Prepping my food ahead of time leaves me absolutely NO excuse to turn to a vending machine or the golden arches. If healthy food is there, I won’t eat the junk! 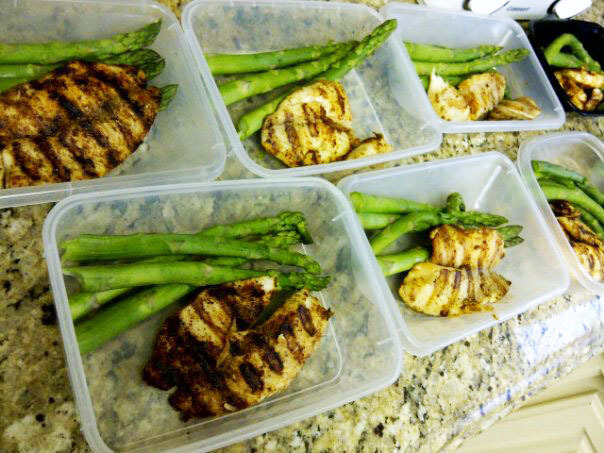 I simply toss my pre-made meals for the day in a cooler and I’m off! Easy, simple and stress-free! Two times a week, I take an hour out of my day (that’s 4% of my day) and cook my meals for half the week. Unfortunately, just as everyone else, I’m only given 24 hours to get done what needs to be gotten done. It really comes down to time-management! I make my health a priority by planning for it! Grocery shopping – I write down everything I need. You can check out my grocery list for the foods that are typically on there. Obviously I don’t buy ALL of these every time I go to the grocery store! Just whatever I’m out of. Swing by on your way home from work or wake up a little earlier and go beforehand if you’re tight on time! Prep – Oh goody.. on to the fun stuff! STEP 2: I spray the poorly fitted foil with Pam baking spray so the meat won’t stick. STEP 3: I take the meat out of whatever container-thingy it’s in, rinse it, tear off any excess fat or grossness and plop them on the baking sheet. STEP 4: I set my oven to “low-broil”… as I’m flipping the channel to some movie on HBO I’ve seen 1238 times. STEP 5: At this point, I usually sprinkle some kind of spice on the chicken. Sometimes when I’m feelin’ wild and crazy I’ll season each one differently. Mrs. Dash is my favorite because there are a zillion different flavors…. and here’s the kicker… SODIUM FREE! YAY! STEP 6: While that is a-broilin’ I rinse my veggies and toss them in a microwaveable bowl to steam. I am REALLY bad at timing this so my veggies usually come out super squishy or as raw as the day they were born. THUS… I will not be giving any tips on timing for veggies. Good luck! And let me know if you figure this one out! Once they’re all measured and separated into individual tupperware, I stick them in the fridge. I try to only make enough for 3 days because anything over that, you’re pushing your luck. Even when you refrigerate meat, bacteria still grows. If you made too much, consider freezing the excess and thawing it out again before consuming. You don’t want to get food poisoning (I hope not anyways) so unless you’ve perfected this art, I wouldn’t risk it. But hey, that’s just me! When I want to eat them, I usually nuke them on some microwaveable glassware. 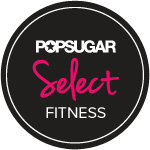 Um I know this site is obviously more geared toward woman, but it is seriously one of the best fitness-related blogs out there. These tips are so helpful! Thank you. how do you get the lines to form on your meat? it looks like its grilled? also how long should you broil it for? an hour or so? You should get the veg steamers. It’s in the frozen food section. U throw the bag in the microwave for 6 min and they come out perfect every time. They are not organic but still good. Do you eat the same foods every day? No carbs? Not even brown rice? 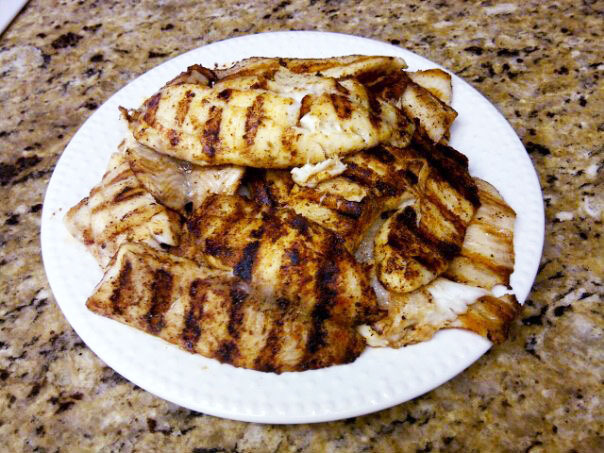 Is the chicken and veggies typical of your daily diet or is this a cutting diet? 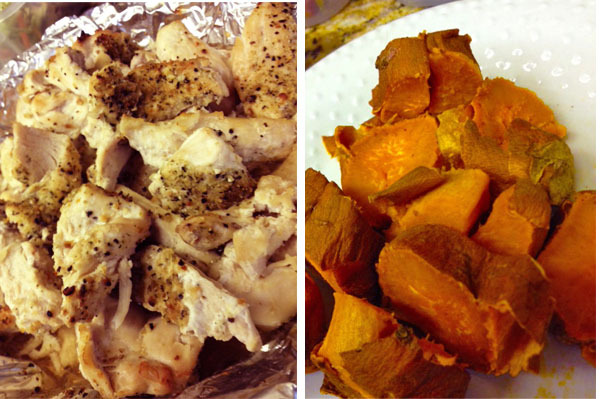 How do you keep your energy levels up with so little carbs and such small portions? I have a hard time keeping up with my daily activities and not feeling “fuzzy” unless I work in at least 1.5 cups of complex carbs per day. Instead of steaming ur veggies try boiling some water. Once it comes to a boil throw ur veggies in and then as soon as it starts to boil again pull them out. Works perfect for asparagus broccoli and veggies of that nature. What if I am vegetarian? Would you recommend eating the Morning Star “fake” chicken? Or tofu? Thanks! I do a variant on this, too – I’ve been eating Clean for about 1 1/2 years, and take part of my day on Sunday to prep for the coming week. I usually make a batch of turkey meatballs, broil fish and put it into serving containers, separate carrot sticks and green pepper sticks ( and almonds/raisins/etc ) into small snack sized “grab and go” bags, boil a dozen eggs, etc. I completely agree; if you aren’t prepared to eat Clean, you won’t succeed. It’s far too easy to eat what is at hand or be swayed by your co-workers who are bringing fast food back to the office. 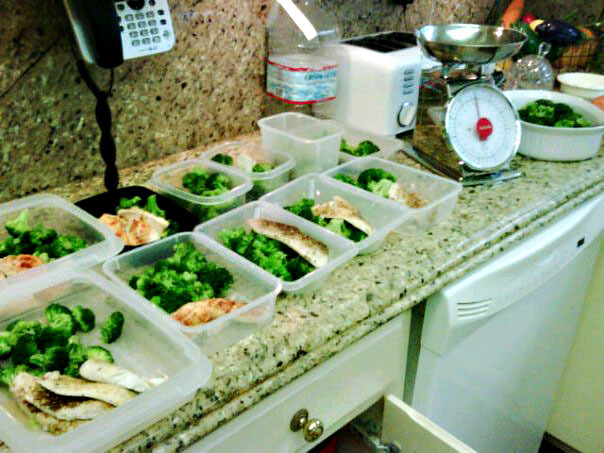 Being prepared is probably the number one tip a beginning Clean Eater can get that will help them succeed. This is a great idea! I definetely will be doing this once my Chef boyfriend leaves for work in Wyoming for 2 months. It will be easier to get into the groove and help my minimal kitchen skills. I am one of those “skinny fat” people, 5’6″ @115lbs, but I’m soft. I’m working on getting the tone back and building my endurance. Keep up the great work!